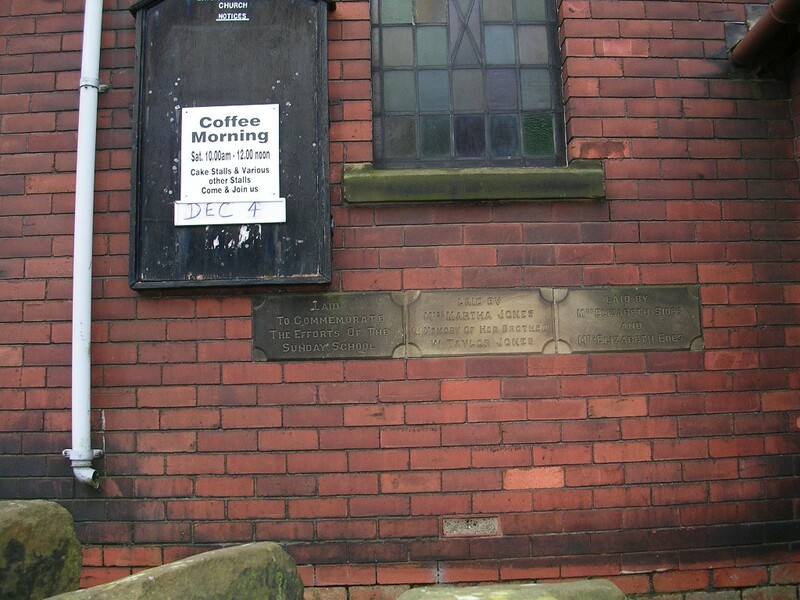 As far as we know, the old Wesleyan Chapel began about 1885. This had a corrugated roof and became affectionately known as the "Tin Chapel". 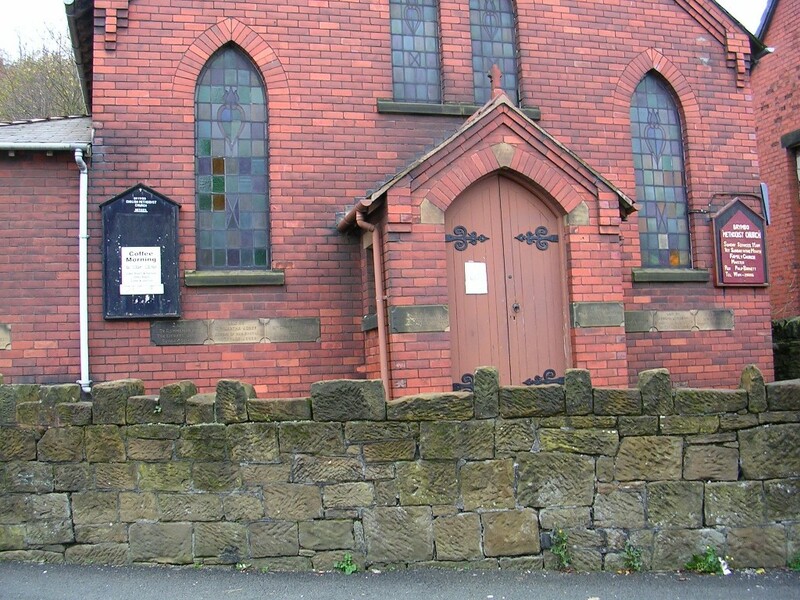 Was this the old Tin Chapel built by John Wilkinson for the people of Brymbo? It was on the same site as the present building, but the entrance door was on the side. 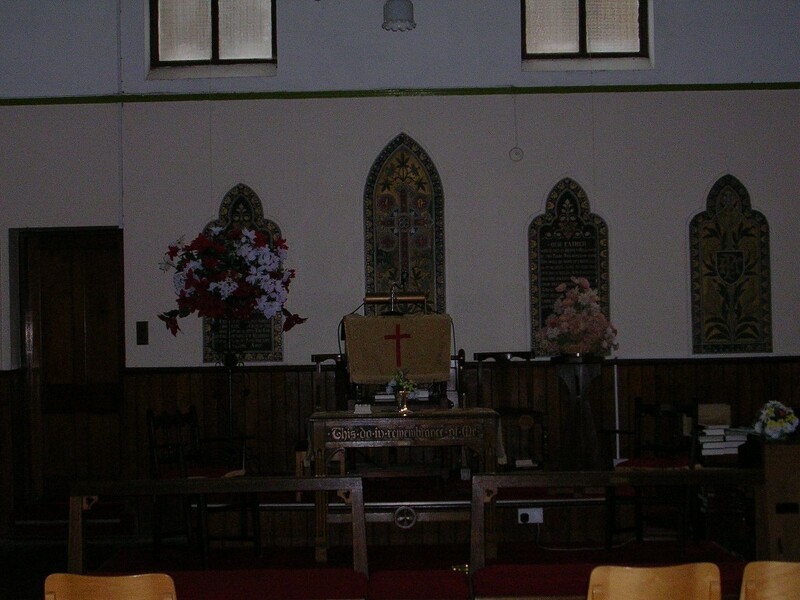 It had a small entrance porch and through the inner door, on the left, were a high pulpit and a square seat, in which the deacons sat. It had a handsome pipe organ; the organist was Mr. Leonard Pickering. Behind the pulpit stood the chancel, with two vestries, one each side. In 1900 the first baptism took place, that of Myfanwy Jones, who later became the organist. 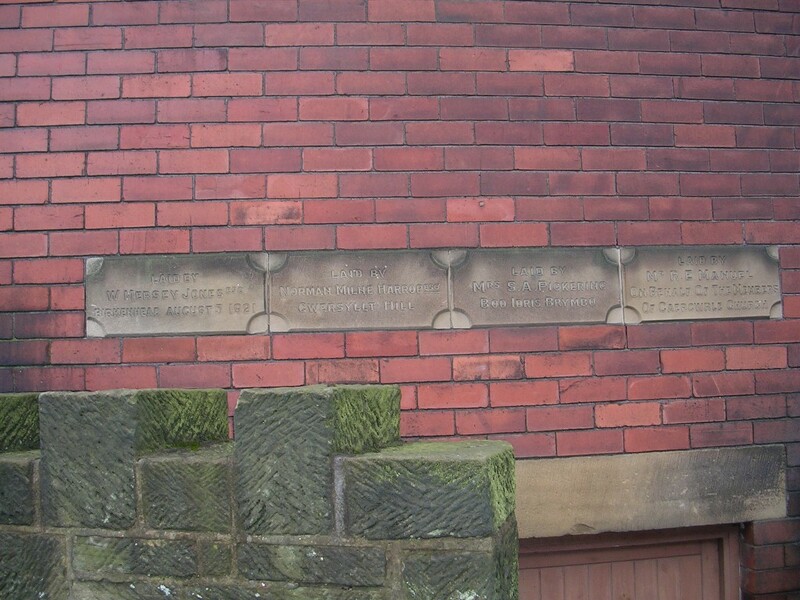 Whilst the Chapel was being built, the members worshipped at the Schools or Cocoa Rooms (the Old British Legion). 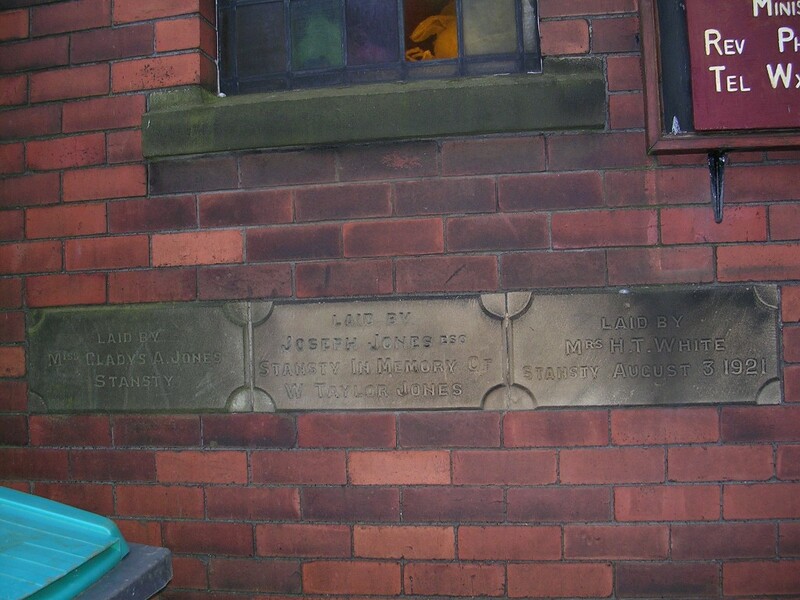 The new Church (or Sunday School) was opened in 1921. 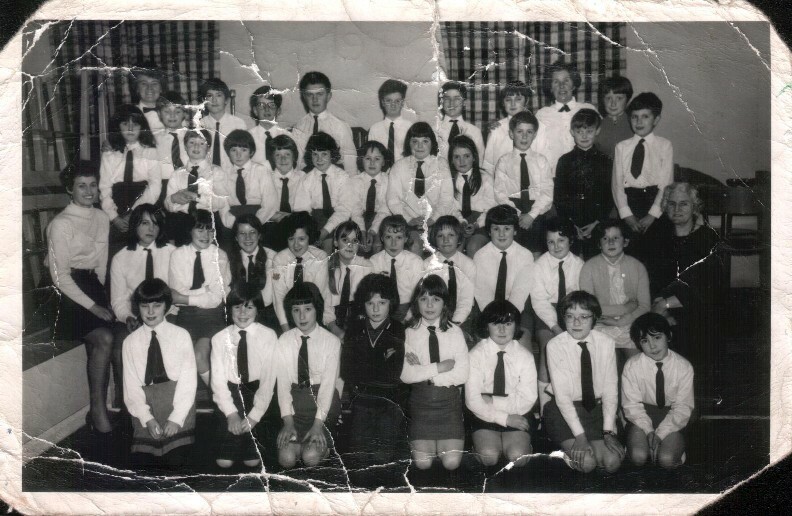 The Church had an excellent choir, conducted by Mr. George Thomas (who later left to reside in Irlam). "Little Bill", who was only 5'1" and possessed a lovely voice, followed him. Then followed Mr. Thomas Price Owens, he also conducted children's choirs, most of them from the Ledge. Then we had Mr. Emlyn Mathias to conduct the singing, he also loved children and every Sunday he would give them each a sweet as they left. Mr. Tunley, who was present with his wife Mary when the new Church was being built, had the honor of addressing the congregation on the occasion of the 70th Anniversary Service. 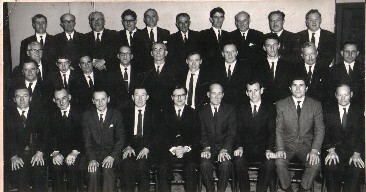 He mentioned the wonderful Men's Social evening's years ago, the highlight was the "Spotted Cow Social". This had the Church packed to capacity out of curiosity. Imagine the surprise and fun when the meal was served, when all it turned out to be was "Rice Pudding with Sultanas in it". Mr. Tunley was loved by all and gave his life in the cause. Organists have included Mr. L. Pickering, Miss Myfanwy Jones, Mr. Jonathon Edwards, Mr. Ernest Mathias, Mr. Jack Edwards and today Mrs. Lillian Dickinson, who will be commencing her 50th year of service in March this year. Some of the old Tin Chapel members recalled are, Mrs. Jane Edwards, Mrs. Jonathon Edwards, Mrs. Polly Goodwin, Mrs. Ada Good-win, Mrs. Mary Evans, Mrs. Charlotte Williams, Mrs. Annie Jones, Hilda, Nora and Eva Jones, all of Lodge, Mrs. John Arthur Roberts, Mrs. Mary Lizzie Griffiths, Mrs. Gwenfil Mathias, Mrs. Linda Jones, Mrs. Emrys Williams, Mr. Percy Tunley and Mr. George Hallam. In the past days March 1st, St. David's Day, was the Annual Concert and Tea. Many distinguished artistes took part, including Mr. Heddle Nash and Miss Gwen Catley. The last one, with Mr. David Lloyd, was the means of clearing the remaining debt on the present building. Mr. Emlyn Mathias organized this Concert, together with many others. 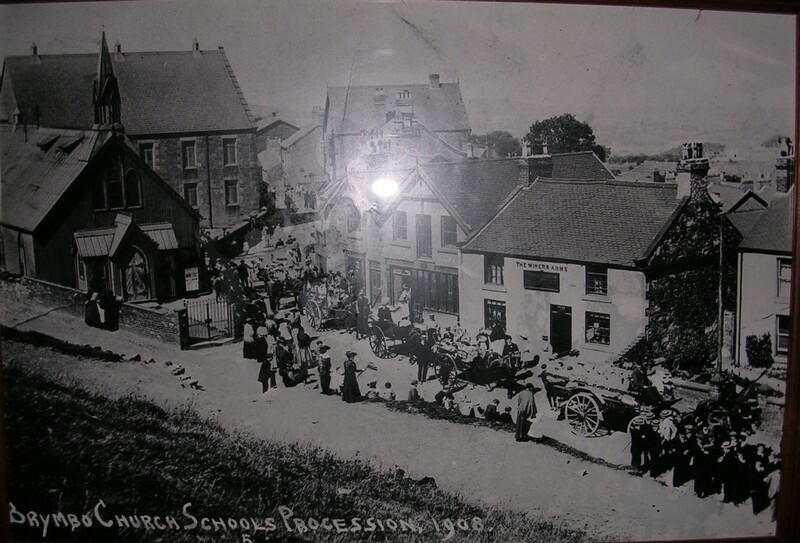 The Sunday Schools in the past were large, with the majority of children walking up through the Steelworks to attend. The old Sisterhood was very active, when Mrs. Edith Roberts was President for six years, and these consisted of speakers and sewing meetings etc. The two oldest members today are Mrs. Jane Ellen Phoenix and Mrs. Myfanwy Hughes (a life long member of Bethel), both will be 90 years of age this year. Reverend Goronwy Roberts, who during the depression in 1930/34, gave a Christmas tree and a present to all the Church, Reverend G. Kenneth Eustice, Reverend W. Lawson Jones, Reverend Jackson-Cotton, Reverend Leonard Porter, Reverend John Henry Collins, Reverend R. A. Marsh, Reverend January M. R. Wills, Reverend Aneurin Evans (who married Miss Brenda Roberts, a church member), Reverend Harry Dyson, Reverend Robert William Gollins, Reverend William Anderson, Reverend Reifion Humphreys, his duties are now carried out by Mr. Bob Thomas, Trevor.